Description: Bring your lunch and join us for an inspiring presentation that will unpack some of the socio-political concerns behind the artwork currently on view. "I let them in. 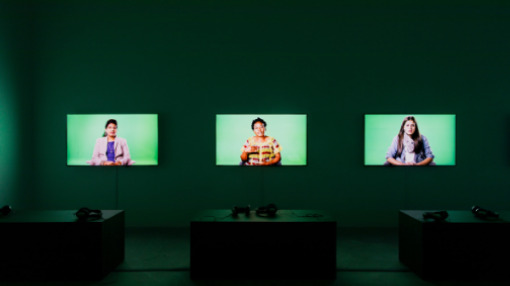 Conditional Hospitality and The Stranger" investigates who is afforded the right to speak or the ability to be understood amidst the current global “migration crisis.” In association with this exhibition, Bemis Center is collaborating with Lutheran Family Services of Nebraska (LFS). LFS is the largest refugee resettlement program in Nebraska and their programs provide high-quality direct support services for refugees, immigrants, asylees and victims of international human trafficking. Lacey Studnicka, Director of Advancement for Community Services at LFS, will share how the organization works with refugees, asylees and asylum seekers, immigrants, and other new Americans. Learn how you can transform your concern into action through a variety of volunteer opportunities.